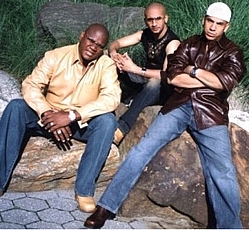 Proyecto Uno is a Dominican Merengue hip hop group from New York. Originally formed in 1989 on New York's East Side , Proyecto Uno gradually assimilated a variety of urban American influences into their sound, including techno and house, plus hip-hop and R&B-influenced salsa. Founder Nelson Zapata was born and raised in the Dominican Republic, but after moving with his family to New York while in middle school, he began listening to American sounds as well. He began recording with the singles "Todo El Mundo", and "Brinca!!. It became a big hit in South and Central America as well as Latin sections of urban America. The debut Proyecto Uno LP, Todo el Mundo, did similarly well, and the group toured Ecuador, Colombia, Venezuela, Chile and Argentina. The original members were Nelson Zapata & Ricky Echavarria and later Magic Juan, Johnny Salgado and Erik Morales joined the group. Early producers were Nelson Zapata and Pavel De Jesus Proyecto Uno became the pioneers of Merenhouse or Merenrap a mix of merengue and hip hop. Proyecto Uno's management team consist Rafael Zapata II. Subscribe to Proyecto Uno RSS Feed to get latest lyrics and news updates. What do you think about Proyecto Uno? Let us know in the comments below!